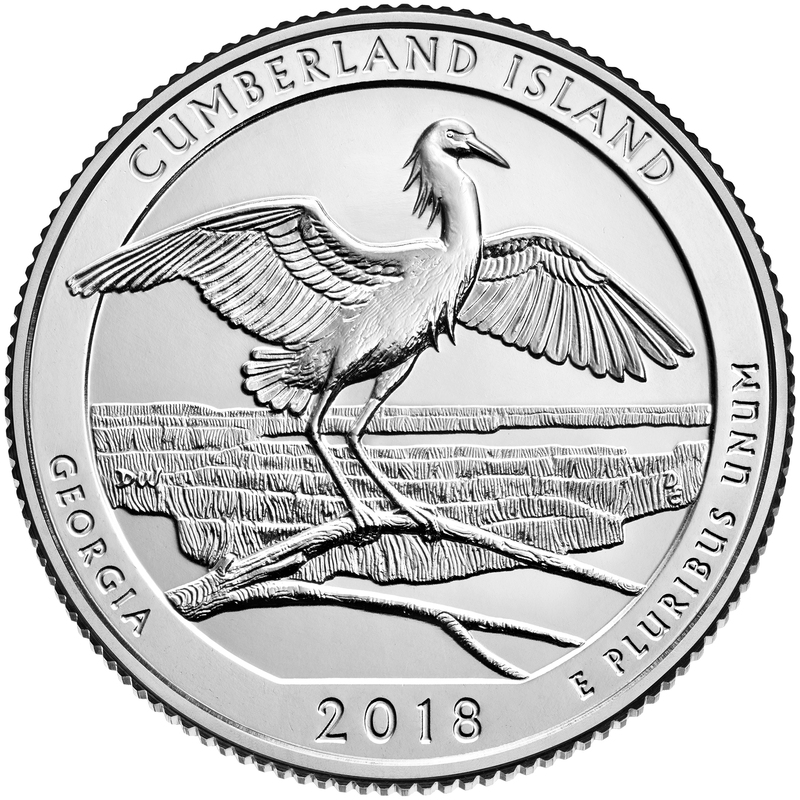 KINGSLAND, Ga. – The United States Mint (Mint) joined the National Park Service today to launch the quarter honoring Cumberland Island National Seashore in Georgia. This latest coin is the 44th release in the Mint’s America the Beautiful Quarters® Program and the fourth release of 2018. Camden County High School students Jalen Johnson and Nicole Thompson led the ceremony, while the school band ensemble and choral group Volume One entertained the crowd of more than 800 students and residents. Guest speakers included the Mint’s Acting Deputy Director David Croft; Cumberland Island National Seashore Superintendent Gary Ingram; Andrew Blascovich, senior field representative for U.S. Senator Johnny Isakson; Sam Tostensen, Southeast Georgia field representative for U.S. Senator David Perdue; and Emmitt Nolan, caseworker and field representative for U.S. Representative Buddy Carter. Donna Weaver, an artist in the Mint’s Artistic Infusion Program, received recognition for her Cumberland Island National Seashore quarter design and the customary coin exchange rounded out the event. The Mint is offering assorted numismatic products containing Cumberland Island National Seashore quarters. Visit catalog.usmint.gov/ or call 1-800-USA-MINT (872-6468) to place an order. The America the Beautiful Quarters Program is a 12-year initiative that honors 56 national parks and other national sites authorized by Public Law 110-456. Each year, the public will see five new national sites depicted on the reverses (tails sides) of the America the Beautiful Quarters coins. The Mint is issuing these quarters in the order in which the national sites were officially established. View b-roll of the Cumberland Island National Seashore quarter. View an interview with Don Everhart, sculptor of the Cumberland Island National Seashore quarter. Download an image of the Cumberland Island National Seashore quarter. Learn more about the United States Mint, America the Beautiful Quarters Program, and the Cumberland Island National Seashore.